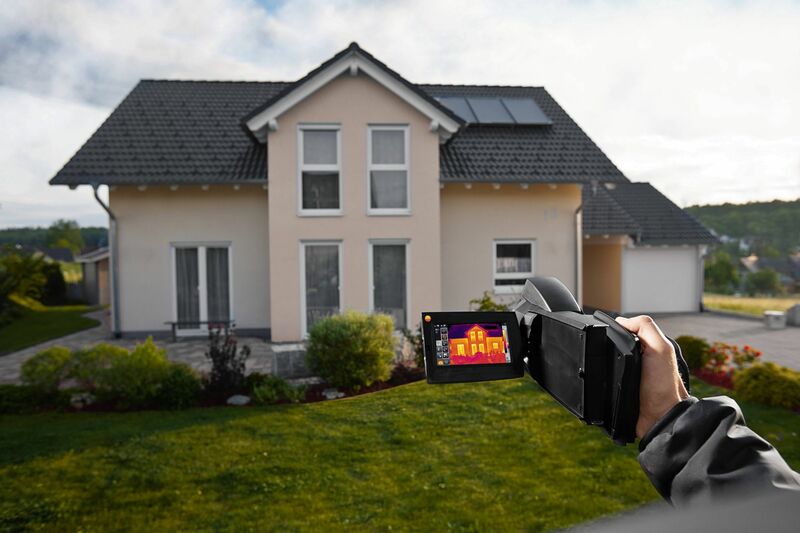 Detect building faults really easily with a thermal imager. 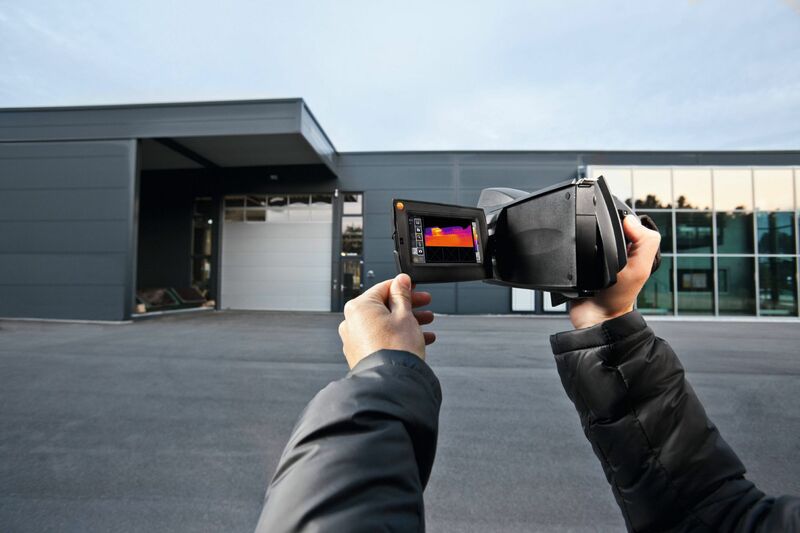 You detect building faults and energy-related deficiencies in buildings quickly and easily with a Testo thermal imager. Humidity damage, leaks and other building faults can be detected and analyzed without contact. 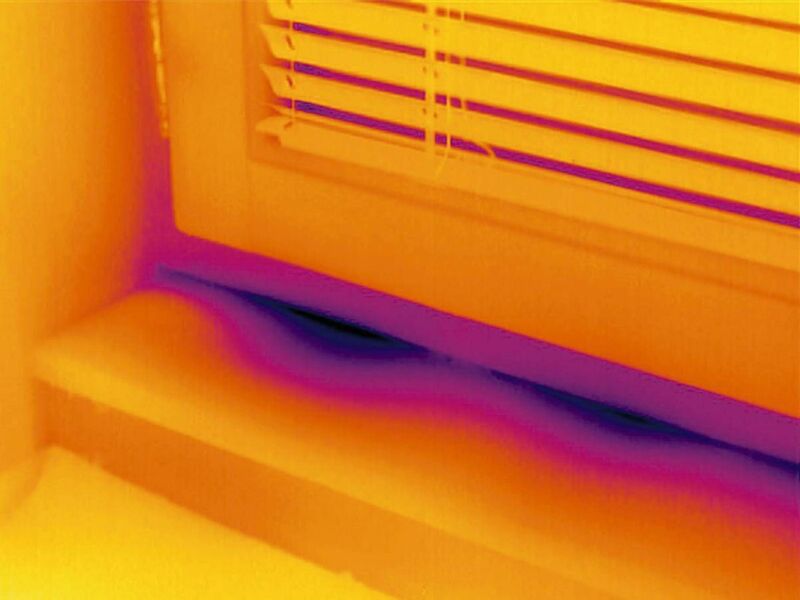 Energy losses as a result of bad or absent insulation are made immediately visible in a thermal image. 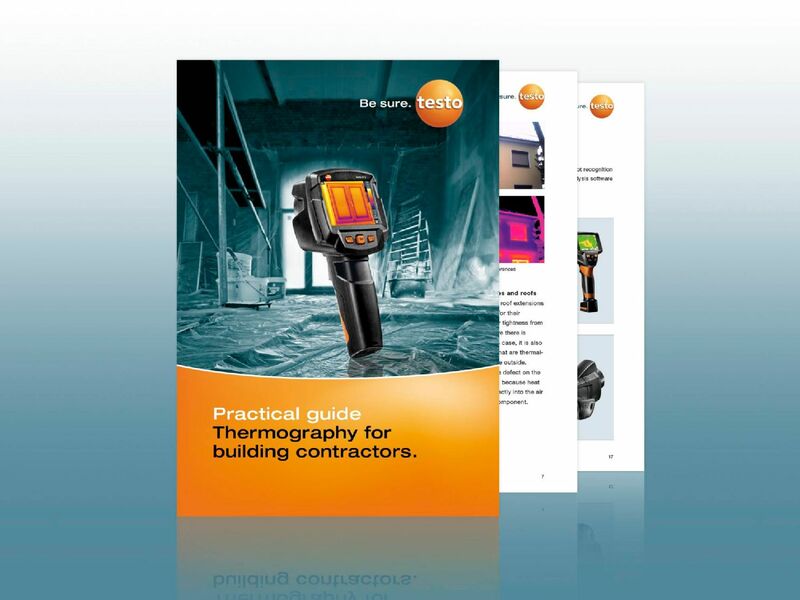 Building thermography supports you efficiently in your work as an assessor or energy consultant. From the thermographic analysis, you can derive targeted measures for eliminating defects or improving energy efficiency, preventing more serious damage or further energy losses before they occur. Cold bridges, leaky windows and doors waste valuable energy and negatively influence the comfort of a house’s inhabitants. 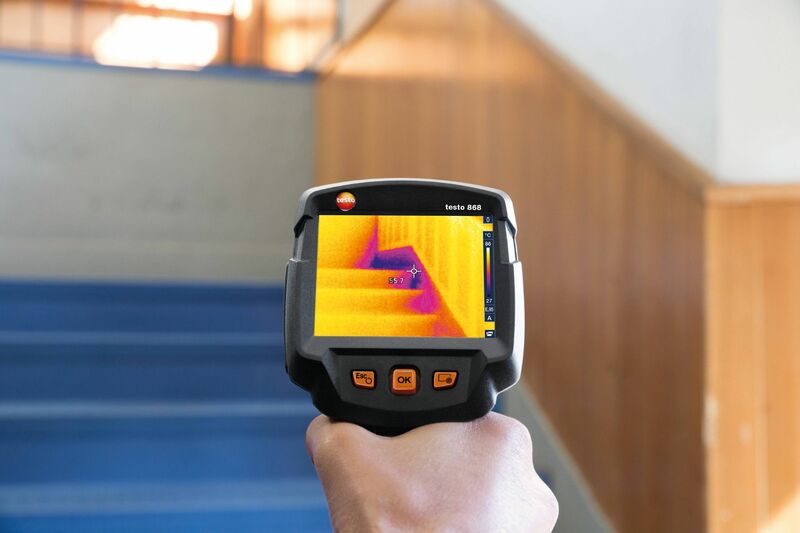 With a Testo thermal imager, you detect possible causes right away, e.g. Faulty insulation and cold bridges can be precisely located thanks to the high thermal sensitivity of the Testo thermal imagers. With the help of the panorama image assistant integrated into the imager, you can stitch individual images together into a detailed overall view. This means you can provably demonstrate the deficiencies of a building to the building and suggest targeted measures for improving energy efficiency. 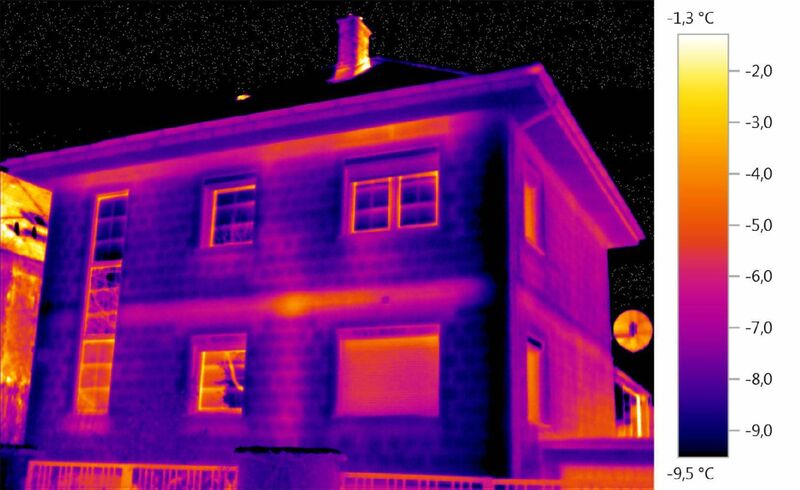 Building thermography helps you to detect building faults easily and efficiently, thus ensuring building quality. Using thermal images, errors can be detected and proven early. With the thermal imager, cold bridges caused by incorrect implementation of heat insulation can be detected quickly and without complications. 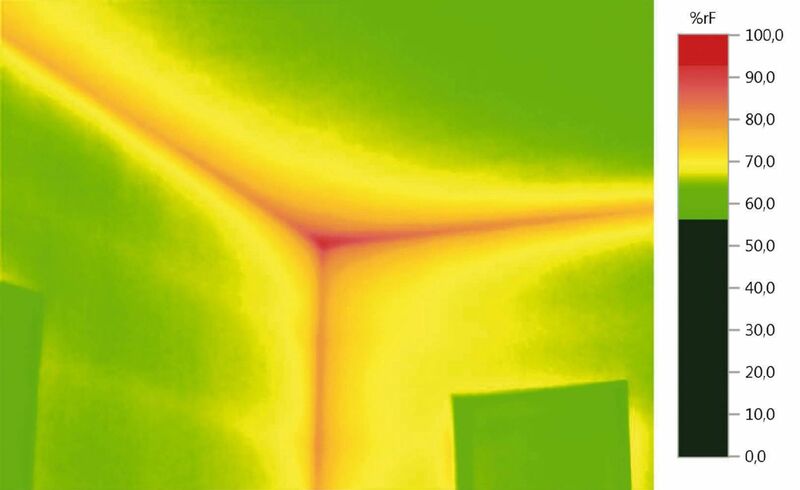 Any moisture collected and leaks that occur in buildings are also visible in the thermal image. As a consequence, you can eliminate deficiencies and damage before mould growth occurs. Increasing moisture, therefore increased mould risk. With a Testo thermal imager, you detect cold bridges efficiently. 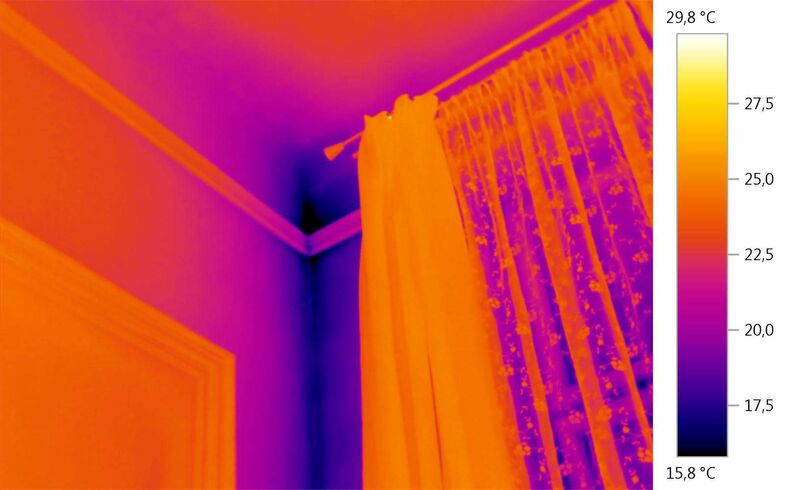 In the thermal image above, you can clearly see that the corner of the room has a considerably lower temperature. Targeted measures such as insulation can then be implemented on the basis of the thermography. If doors or windows are not correctly fitted, in winter cold air can enter or warm indoor air can escape. This results in draughts, increased ventilation heat loss and accordingly high energy costs. 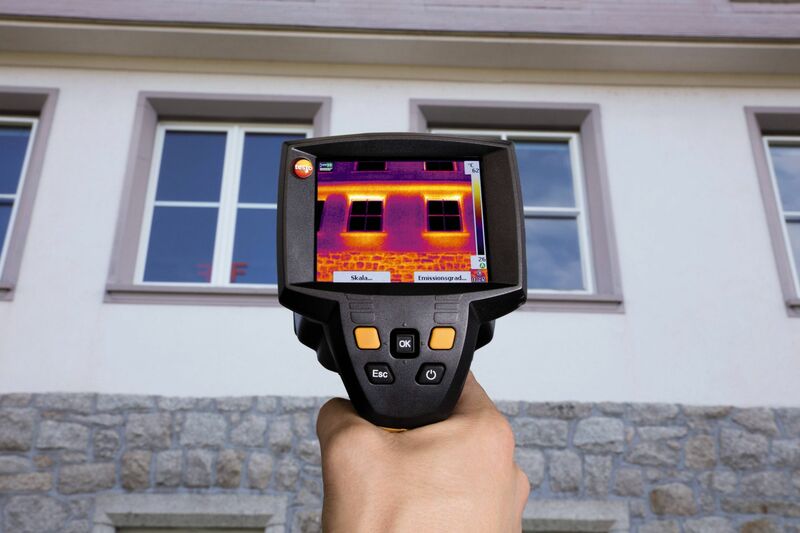 With a Testo thermal imager, you reliably detect leaks at windows or faulty insulation, e.g. in roller blind casings. You can then derive effective measures fro improving the energy efficiency from the thermographic analysis. Construction faults or incorrect ventilation behaviour allow increased humidity to form in indoor rooms, which in turn lead to serious problems such mould growth. 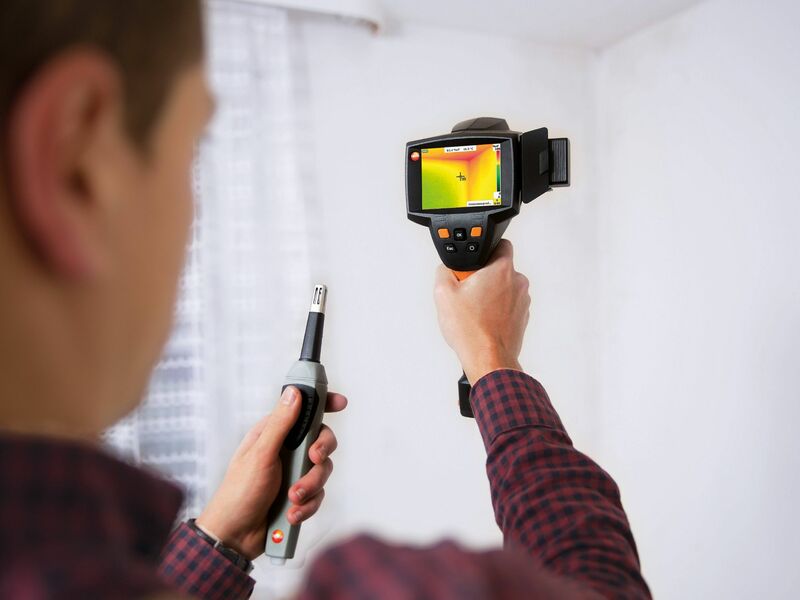 With a Testo thermal imager, you can reliably detect areas at risk of mould, thus preventing subsequent damage to the building. After the input of the ambient temperature and air humidity in the room being examined, the imager automatically calculates the dewpoint and compares it with the measured surface temperature value. Any potential mould risk is then displayed in traffic-light colours (red, yellow, green) in the imager display – and you immediately identify where there is a need for action. The combination of building thermography and blower-door test has proven effective for testing new builds. All apertures in the building are sealed; an air pressure difference of around 50 Pa between the surrounding area and the interior of the building is then built up. As a consequence of the negative pressure in the building, cooler air can flow in through any untight seals. The cold plumes formed can be easily visualized with the help of a thermal imager. This way, faulty areas can be discovered early, and necessary insulation measures can be introduced, before facings and installations in a new build make elimination of the fault costly and time-consuming. 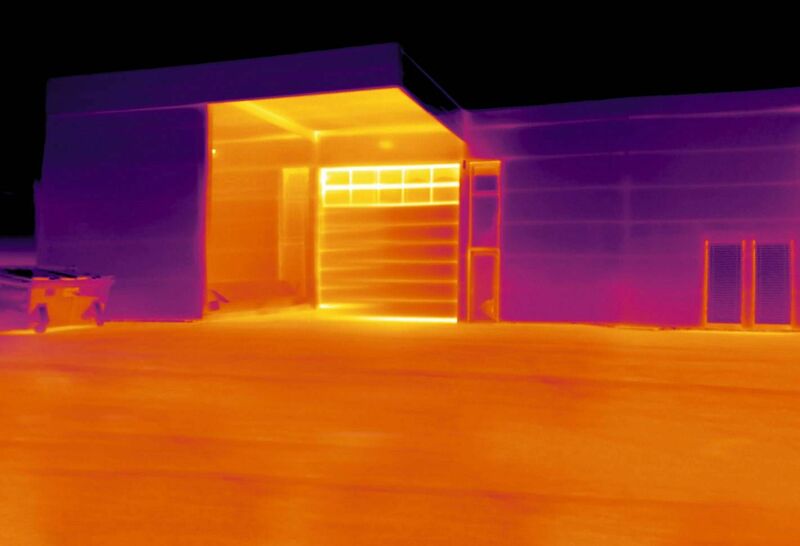 In building thermography, taking thermal images of large buildings poses a particular challenge. Spatial restrictions due to walls, roads or safety zones around neighbouring buildings can make it impossible to capture the entire measurement object in a single image. However, this process is particularly easy using Testo thermal imagers, which have a panorama function. 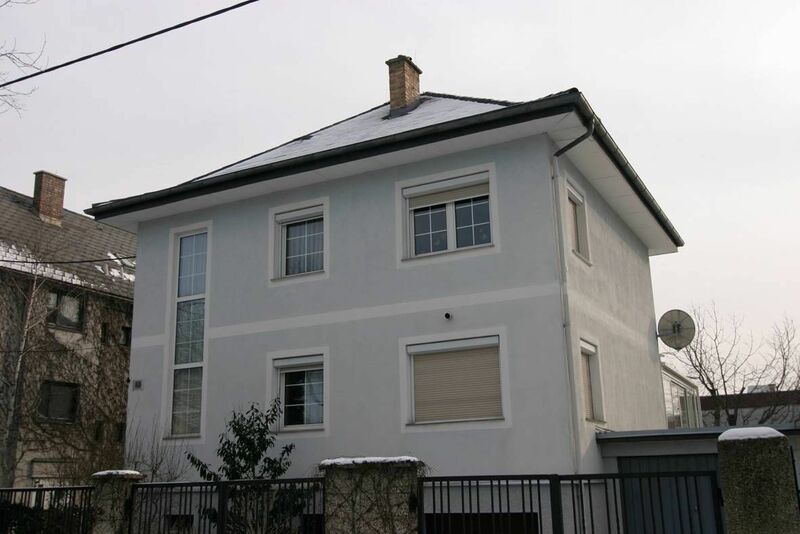 The panorama image assistant can help you to obtain the overview that you need, and to instantly identify your options for increasing energy performance: The panorama image assistant can be used to combine several images of the building shell taken at close range into a single thermal image. 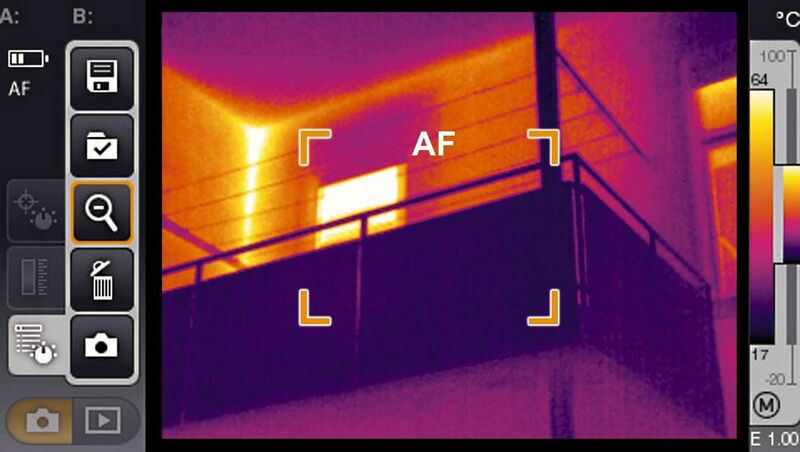 A quick look allows you to see thermal irregularities over the entire surface area of the building in high resolution. 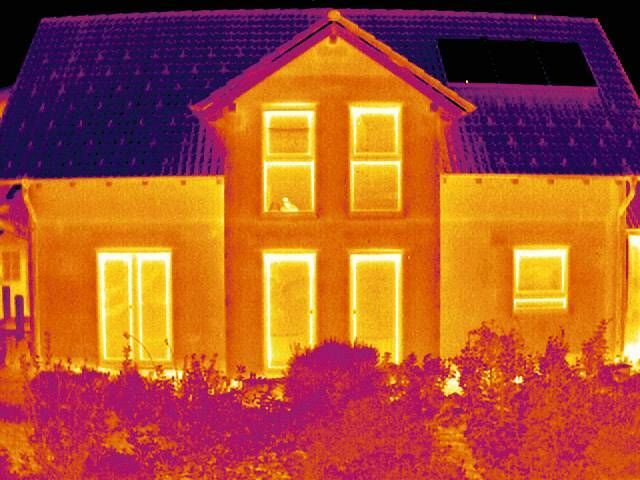 Therefore building thermography greatly facilitates energy consultation.